You will be pampered with your own wood burning fireplace, a full kitchen with Jenn-Aire range and two full bathrooms. There is plenty to do with a 50" big screen TV, a six person hot tub, ping pong and air hockey. The family room has a book and DVD/VHS collection for your enjoyment. You never need to leave! 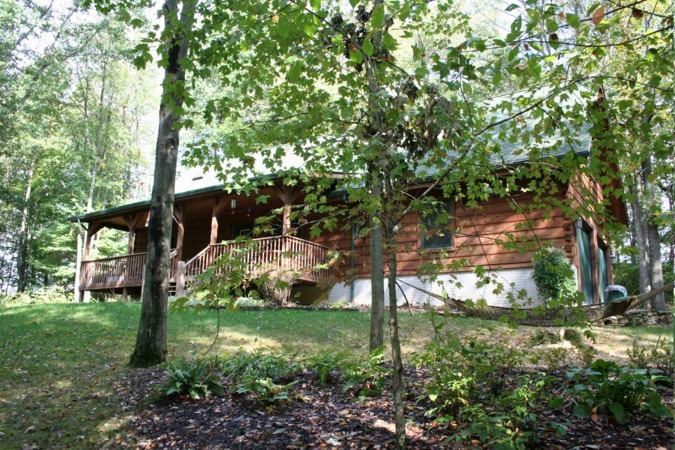 Timber Creek Lodge is a luxury resort cabin situated in the heart of the Hocking Hills of Ohio. This cabin sleeps 10 comfortably with many ammenities. Located in the center of SE Ohio's beauty.